I unsuccessfully scoured the internet for months when this was released last year, and randomly came across it yesterday when I wasn't really looking for it. Go figure. 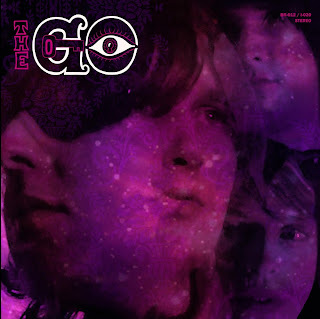 Apparently The Go were feeling guilty for 2007's extremely polished and pretty much flawless Howl on the Haunted Beat You Ride, and felt it necessary to release an album in 2008 comprised of demos and alternate/original versions of certain tracks. The first of the two LP set is supposedly the original version of the album. Overall I would say it's more enjoyable instrumentally, with some great guitar work, but some of the harmonies are less satisfying and even awkward at times. There's 3 great tracks that were cut from the final version of the album that I've been really loving, and the original version of "Caroline" entitled "Our Love's Alive" has a preferable chorus. The second of the two LP set is made up of acoustic tracks and demos. Some previously unreleased, and some eventually evolved into tracks found on Howl. To be honest, when I'm in the mood for some The Go action, which is fairly often, I'll probably rely on this release more so than the final version. The acoustic tracks are great, and alternate versions and demos are equally enjoyable as the more polished versions. Anyways, because of the length of this review, it's clear I love this band way too much. Can you reup please? Thanks! only the first disc came thru on the download - cd2 folder is empty - can you please fix - also, king khan s/t, can you repost - link is broken. thanks. request for the new king khan lp too.